Awakin gatherings started when three friends got together in 1996 to sit in silence, every Wednesday, in an ordinary living room in Silicon Valley. No teachers or gurus. No set agendas or proposed beliefs either. Just one strong principle — when you change within, the world changes. And instead of closing the door, they left it open … to all. 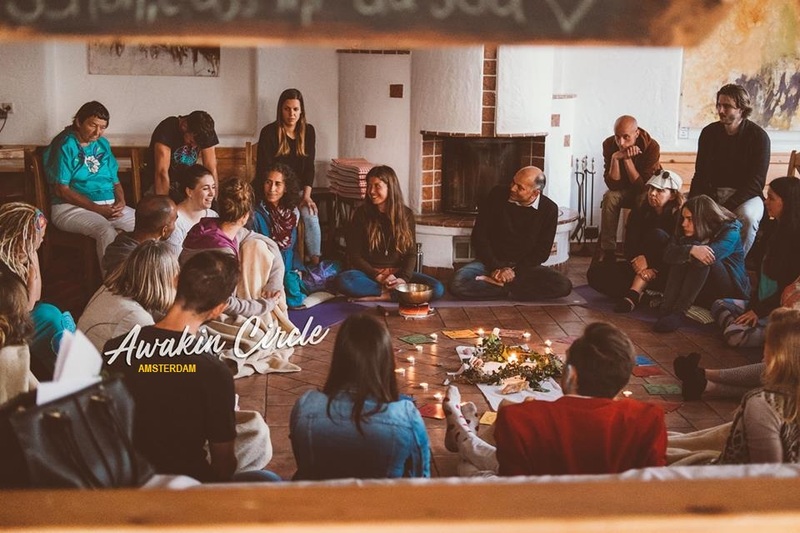 Today, Awakin Circles have organically rippled to eighty cities around the globe. People meditate for the first hour, engage in a circle of reflective sharing in the second hour, and conclude the evening with a delicious home-cooked vegan meal. It’s all about gratitude, sharing, community and harmony with yourself. We welcome you to come join. We are very happy with a free donation. AWAKIN CIRCLES were initiated by Nipun Mehta. He lives and spreads a lifestyle of generosity. Dalai Lama presented him with the “Unsung Hero of Compassion Award”. Workshops, Concerts & other Events. The periods I’m absent for work training. In this periods no appoinments can be scheduled.